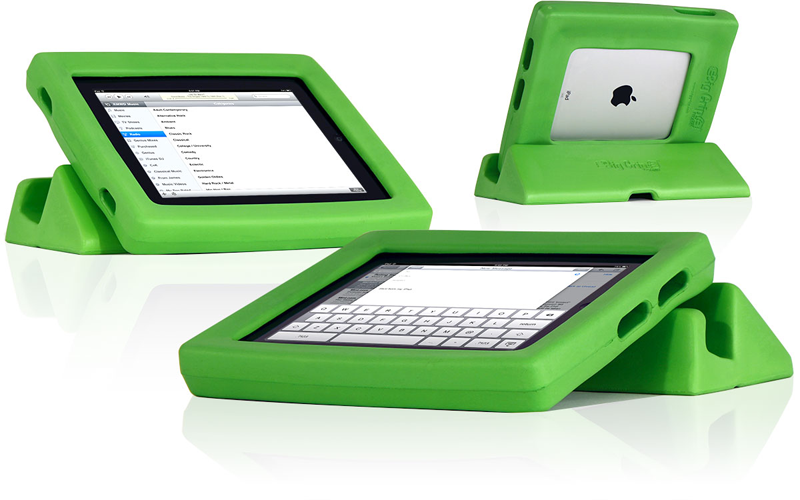 Fits iPad 6th gen. (2018), 5th gen. (2017), iPad Air 2, and iPad Air. 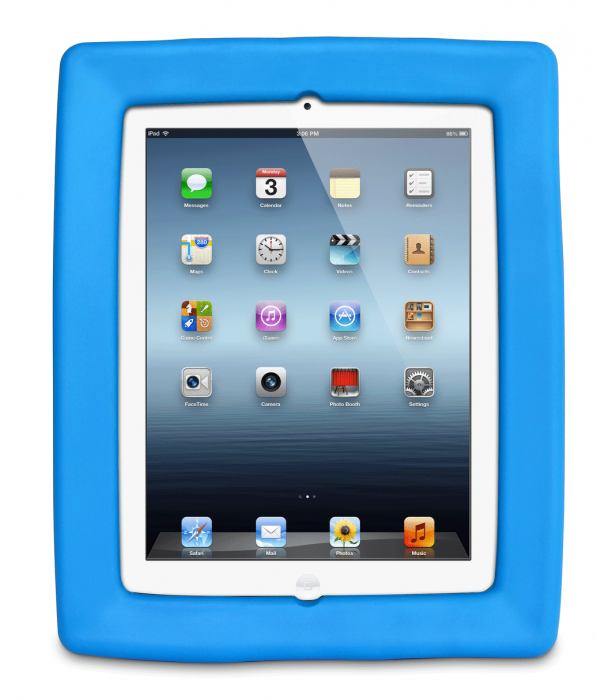 Big Grips Frame for iPad is big and squishy, and very lightweight so it's really easy to grab and hold on to. 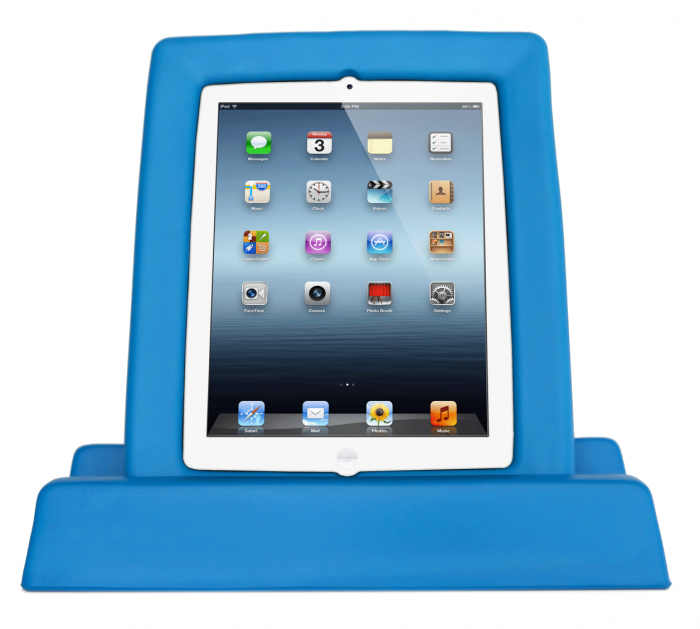 Big Grips Frame provides a minimum .5" inch clearance for iPad while laying flat on the table, protecting the iPad from spills. 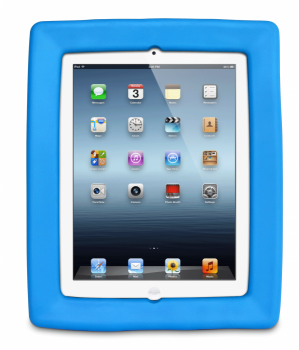 Big Grips Frame snugly hugs and cradles your iPad with love. Big Grips Frame feels cool in a soft-and-squishy cool kind of way. It's actually hard to describe how cool it feels. We think you'll agree. We guarantee it. Big Grips Stand is big and sturdy, really sturdy. It is perfect for just about anywhere, like kicking back on the couch or lying in bed. Did we mention it's sturdy? 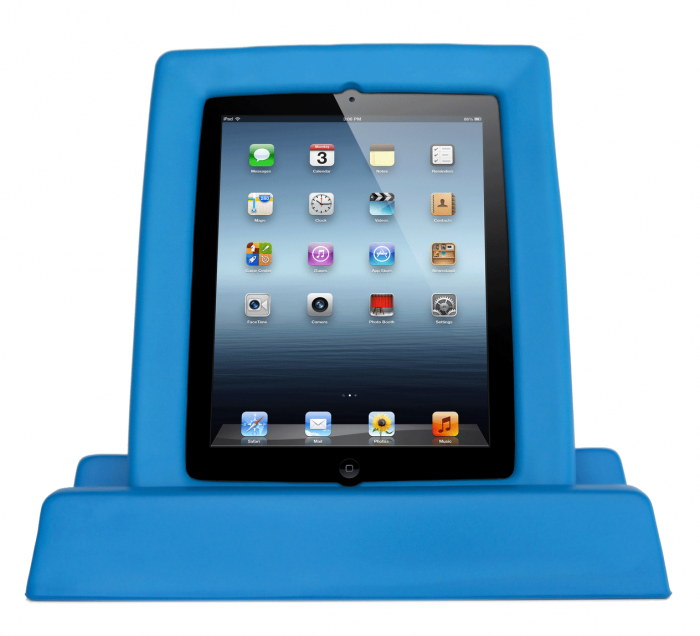 Big Grips Stand securely holds Big Grips Frame at a pleasant angle in portrait or landscape orientation, and at various inclines for typing or working at a desk. Big Grips Frame Stand is big and sturdy, really sturdy. It is perfect for just about anywhere, like kicking back on the couch or lying in bed. Did we mention it's sturdy? Big Grips Frame Stand is 12.7" wide x 2.8" tall x 5.5" deep (323 mm x 71 mm x 140 mm) and weighs approximately 9.25 oz. (.26 kg).